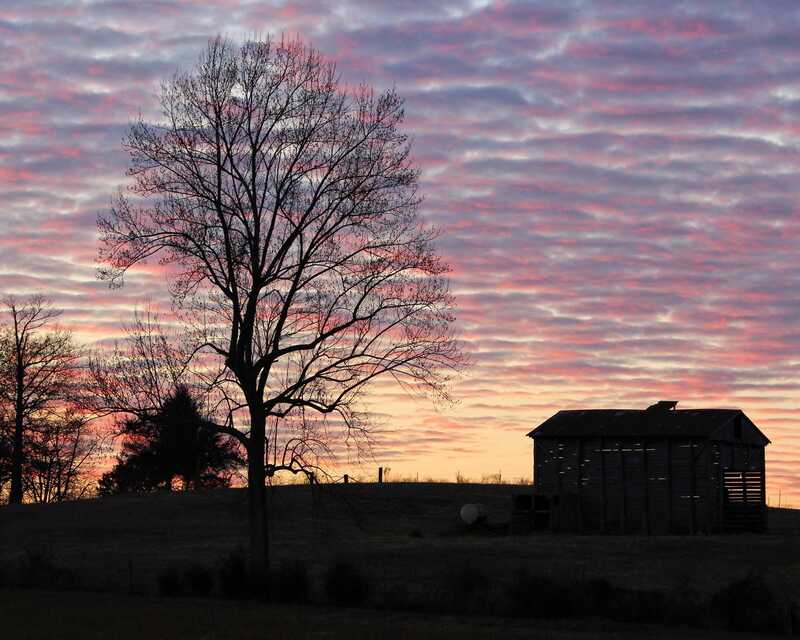 The Story...I titled this photo "Colorful Sunset Over The Farm". It was taken December 2016. This farm is only a few miles from my home and I was able to capture this scene as one of the last pics of the day. The colorful sky with the rippled clouds are beautiful and the spacing, or missing boards on the barn help mimic what's going on in the sky.